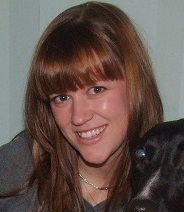 Rebecca is the Founding Director of Paws for Progress CIC. Rebecca is a professional dog training instructor (APDT UK), and in collaboration with the Scottish Prison Service, Rebecca developed and implemented the first prison based dog training rehabilitation programme in the UK. She completed her PhD at the University of Stirling in 2015; her research involved evaluating the efficacy of the Paws for Progress programme at HM YOI Polmont. Rebecca is also key to the development of Stirling Human Animal Interaction Research (SHAIR) Centre, and in her role with the University of Stirling / SHAIR will continue to ensure rigorous evaluation of Paws for Progress initiatives and build the evidence base in this exciting field of research.